Couch cleaning services. Useful cleaning solutions for all. Do you have pets in your home? No, let us rephrase that? Do you have pets all over your home, carpets included? What is the importance that you give to your home carpets? Let’s say you could choose from one to ten, how would you rate your carpet maintenance attitude and routines? What was the first thing you did today after you entered your home from work? - No, wait, do not tell us. We bet we can guess. You sat on your favorite sofa. Keeping the carpets in your office or home can be very troublesome. Also, there are many other areas in a property that may need to be cleaned, as well. You should not have to fret any longer about making sure that your furniture, rugs, and carpets are thoroughly cleaned due to the fact that our cleaning services have much to offer you. Carpet cleaning may be extremely stressful to take care of for you, because you do not have a clean carpet unless every single speck of dirt is removed. Our carpet cleaning company, Carpet Cleaning Saratoga, allows many customers to relax while their carpets and other areas of their homes and places of business are being thoroughly inspected and cleaned. If you need a company that has experts who know how to properly conduct stain removal, our guys definitely have what it takes to provide all Saratoga customers with the ideal service. 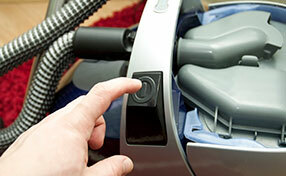 Our cleaning experts can remove stains and odor with the utmost ease. Yes, that’s right; our experts also know how to properly take care of odor removal. There is definitely no way that you have to keep dealing with stains appearing in your carpets. Also, bad odors need to be eliminated, and our company has the tools, skills, and expertise to help you take care of this extremely tedious ordeal. There is another big problem that you might have to face. Your carpets, rugs, and furniture may be victims of floods. If a flood has entered your place of business or home, it could cause damage to these materials. In order to handle the situation, our experts will quickly arrive at the scene and eliminate the odors and remove the mold and mildew. We make sure to take out all of the soakage that has already developed in your carpets, rugs, and furniture, even if you have a flooded basement. 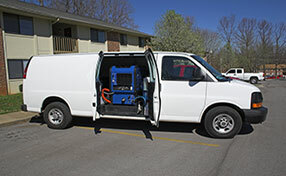 Black mold removal is a task that we regularly handle, if a home or place of business has become a victim of a flood. No matter what, our company has the skills to handle any cleaning tasks when it relates to floods. We also thoroughly clean carpets, rugs, and furniture in order to eliminate odors, dirt, dust, mold, and mildew. Our services have been able to be highly sought after by many customers in Saratoga.